Home Inspections in: Tupelo, Verona, Shannon, Mooreville, Plantersville, Nettleton, Baldwyn, Pontotoc, Fulton, New Albany, Boonville, Amory, Ripley, Corinth, and surrounding areas! My name Chesley Ruff, a Certified Professional Home Inspector with 1st Choice Property Inspections LLC. 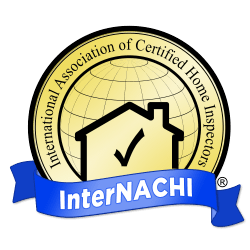 I am certified by InterNACHI, the world's largest home inspector association and licensed by the Mississippi Home Inspection Board (Lic. # 0631). For the past 25 years I have owned my own real estate investment company. During that time I have been involved with the acquisition, ownership, design, construction and renovation of both commercial and residential properties. 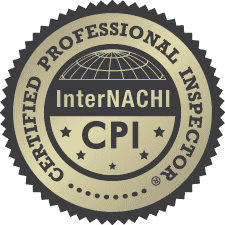 Additionally, I am certified to utilize infrared inspection technology in each of my inspections. I use this broad base of experience to protect your interest during the purchase or sale of a home. I want to provide you with the best home inspection possible. Let's face it, you should be able to trust your home inspector, and I feel that way too! As such, I have the Honor Guarantee on all of our home inspections. Just one of the many reasons that people choose me to be their home inspector! I have high praise for Mr. Ruff. He has spent a lot of time with me on the phone going over every concern I have voiced. My insurance agent said she had never seen such a detailed report as the one he sent me. He has set my mind at rest on every question I had and has given me detailed explanations on heating/cooling/plumbing and how things work. This single woman feels much safer and happier now in buying this home. No need to have to have a husband to kick the tires.. just call Ches Ruff! It felt like having a trusted family member looking out for me. I highly recommend him! ​I was skeptical about hiring an inspector for my home inspection and thought it was "just a necessity." I was completely wrong. The inspection was thorough and detailed. Many issues Mr. Ruff located were unknown by both the buyer and seller. After completing the inspection, Mr. Ruff discussed potential problems and offered insight as to how to further diagnose/correct said issues. Mr. Ruff's professionalism and attention to detail went above and beyond all expectations. I highly recommend his services to anyone even possibly in the market to purchase or sell a home. Super friendly and willing to answer any questions/concerns! Got the job done quickly and efficiently! Inspection was very thorough and was completed quickly. Very Satisfied. Thanks for being so great an quick with the inspection!! the inspection was done in a very business like but friendly manor which I liked very much. Thank you for helping us in buying our home. We were a little nervous with this being a big purchase and wanted to make sure things looked good before we signed the papers. The home owners have been great through the whole process also. I called you on short notice and you were very accommodating. The pictures and descriptions were helpful in showing us the condition of the house. Very quick to respond and super friendly!!! I appreciate the quickness of getting the inspection scheduled and finished. I also appreciate the detail of the inspection report. THANK YOU, THANK YOU! Not only were you responsive but very knowledgeable and I have full confidence in your work and will recommend highly to others as well as return to you again! Super job well done!!! He did a wonderful job in explaining everything that would happen and what all he would be looking for. He was extremely fast in getting it done and the report to us and he went in to great detail and included several pictures for things that he was addressing. 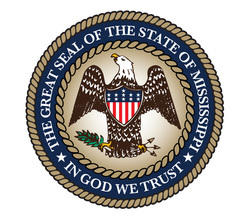 We provide home inspections in a wide area of Mississippi. See below the map for a complete list of our home inspection service area.